Nordeman’s anointed words remind us to treasure what is truly important, and to consciously ponder the legacy we desire to leave when we’ve breathed our last. She acknowledges that it’s nice to receive praise, but suggests there is so much more to life. What follows is only a portion of her inspiring ballad. 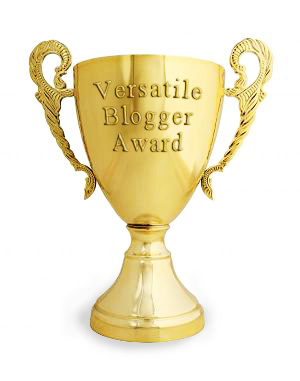 It’s in this context that I mention I’ve been nominated for the Versatile Blogger Award. It’s nice that someone wanted to pat me on the back this way, and I like the title of the award, so I decided to accept it. I guess the confirmation of your acceptance (and the actual awarding of the accolade) happens automatically (but presumably not supernaturally) when you post seven points that illustrate your personal versatility. I’ll do that, momentarily. The gifted C.S. Lewis was noted for his own versatility. Few other people have excelled in such diverse literary fields. Very few. Lewis was a brilliant author of fiction and nonfiction. He was a preeminent literary historian and critic. Much of his poetry was inspiring, although it never attained the measure he desired for it. He is also one of the most highly regarded Christian apologists of the twentieth century. He had few literary equals. Very few. While Lewis was the recipient of various awards, and accepted them gracefully, he remained quite modest. (One of his most noteworthy honors came in the Carnegie Award, the United Kingdom’s highest honour for children’s literature.) The desire for accolades didn’t sway Lewis from his course. 1. I was Thespian of the Year my senior year in high school. 2. While stationed in the Republic of Korea during the 1988 Olympics I watched the United States fall before the Soviet Union in soccer. 3. Although I never played a musical instrument in high school, I joined the University of Washington Husky Marching Band while in college. 5. I wrote a Master’s Thesis on the Odes of Solomon, the first Christian hymnal. 6. I once served on a Christian conference committee with Jim Otto, the greatest center ever to play in the NFL. 7. Speaking of awards, in addition to Air Force and Joint medals, during my military career I also received medals from the United States Army and the United States Navy. P.S. – I promised a link to a Nichole Nordeman’s ballad “Legacy.” Here it is: Legacy by Nichole Nordeman.